EEuuwww. What is this all about? Don't these animals know that they should bury their nasty? 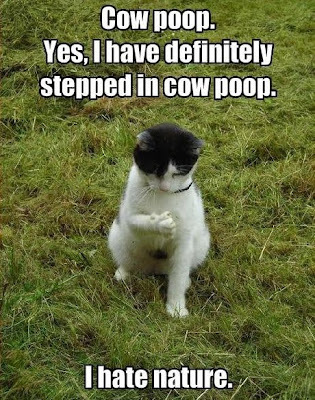 Buddy the cat never made that mistake again! LOL! I do not now if evrybody knows how funny this is!!! !freackishly !LOL!